It looks like spot that used to house my favorite Yogurt shop (Penguin Froyo) has a new owner. 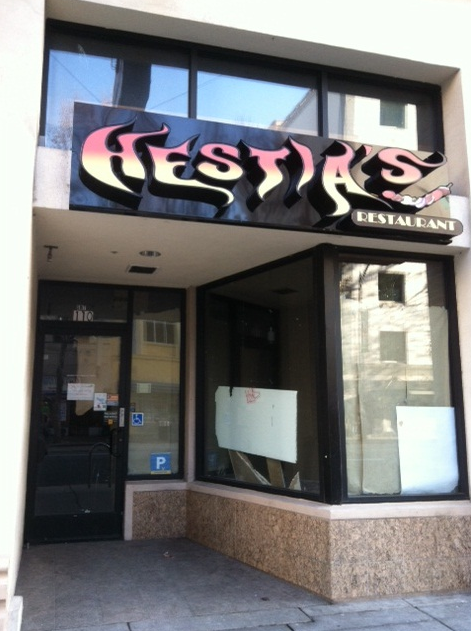 The new restaurant is called Hestia's and is located at 30 E. Santa Clara Street. While I couldn't get much info online, based on the name and logo alone we can gather that it will be some type of Mediterranean/Greek restaurant. Thanks Arlene for the tip and the photo.